Another wedding show down, and possibly one more to go before the summer (more details on that later). 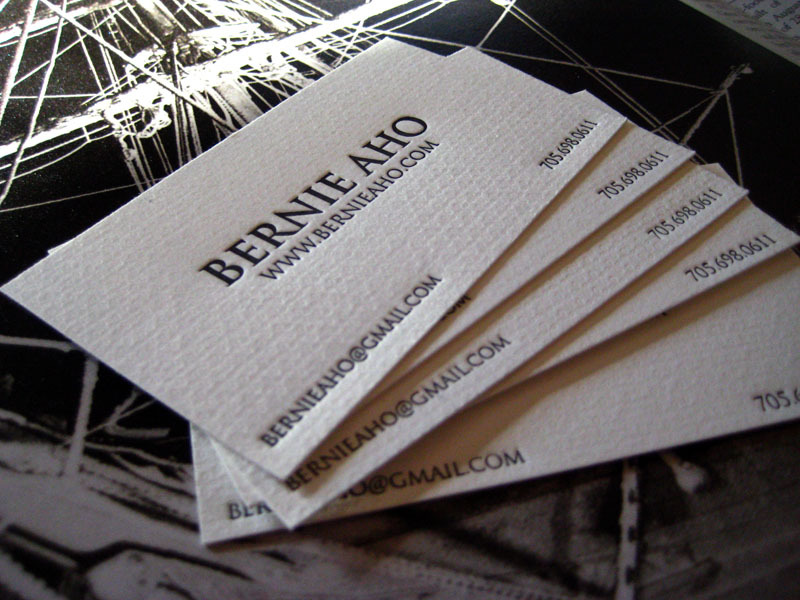 Here are business cards we printed for our soon-to-be wedding photographer, Bernie Aho. 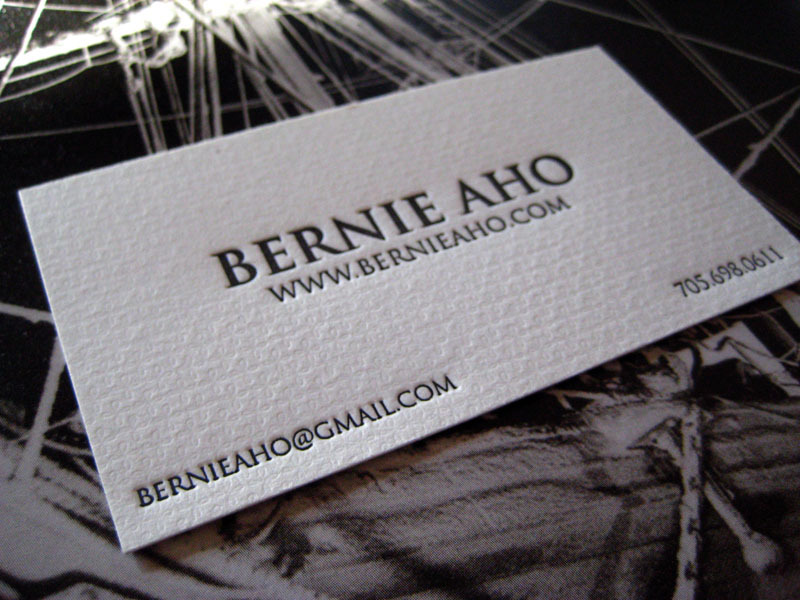 The criteria for these cards was to be clean and classic, with a nice blind-print for the background. 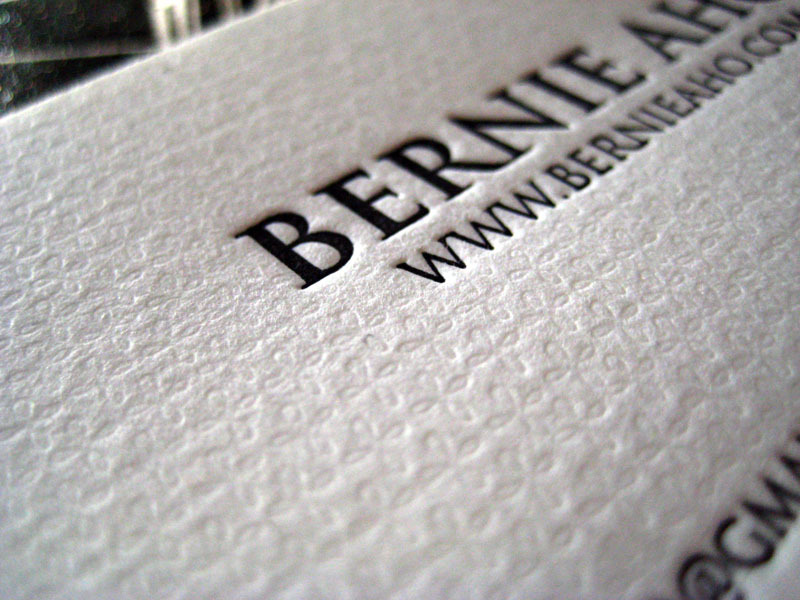 We love blind-printing; it’s so easy to print and looks amazing! 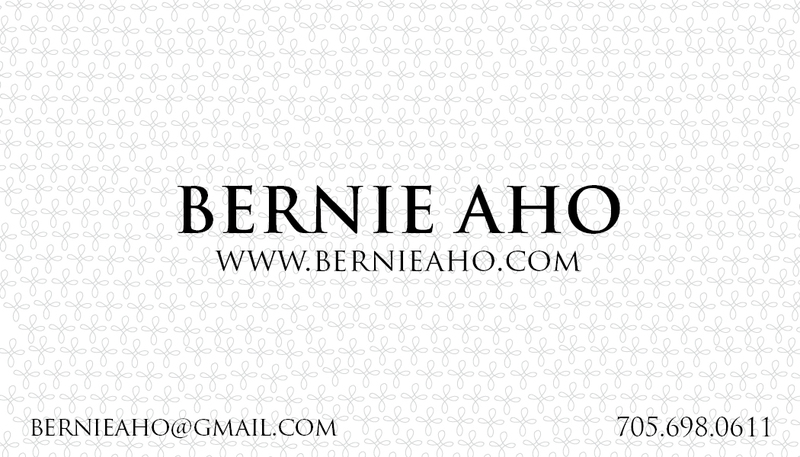 The final digital proof for the card. Final printed card, on Crane Lettra 110 lbs. Having just met you both at the Wed By Hand Wedding show this past weekend, I cannot say enough about how beautiful your work is. This is a stunning product that must absolutely be seen and provides a lovely detail to any boutique, vintage garden party wedding – I have fallen in love with you your letterpress work. Blind printing is absolutely beautiful. The detail in this piece is just beautiful! Maybe one day I can make it to Canada to see the work in person. Lovely work!